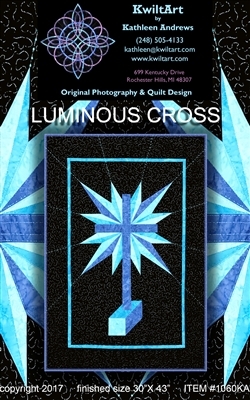 Luminous Cross uses a technique that is easier than paper piecing and just as accurate! The star blocks are made with oversize pieces and then trimmed to size after sewing. You get perfect star points every time! 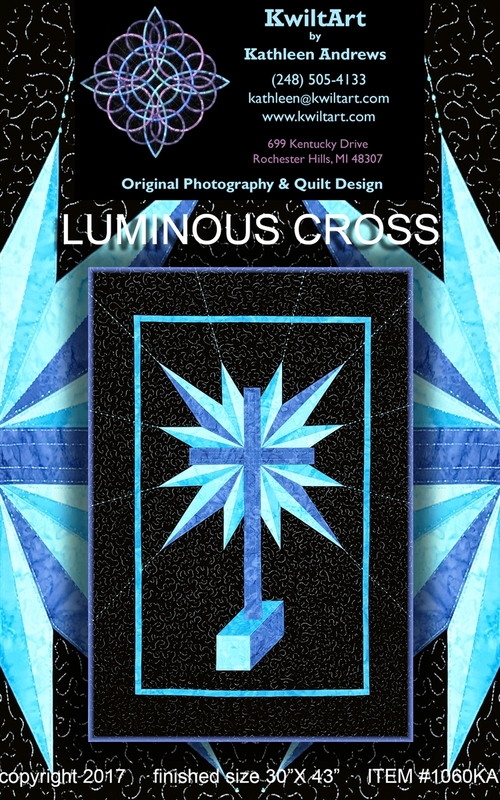 This is a beautiful quilt design for an Easter church banner or special gift. Advanced Beginner/Intermediate Finished size 30" X 43"